The Call for Papers is officially closed. We are thrilled to have received an unprecedented number of fantastic proposals on an incredible range of topics. Thank you to those who took the time to create and submit an abstract. Additional information on the conference is available on the conference home page. • Lightning talks: 5-minute presentations with up to 15 slides. This new format is meant to encourage submission of short presentations to share your work (e.g. 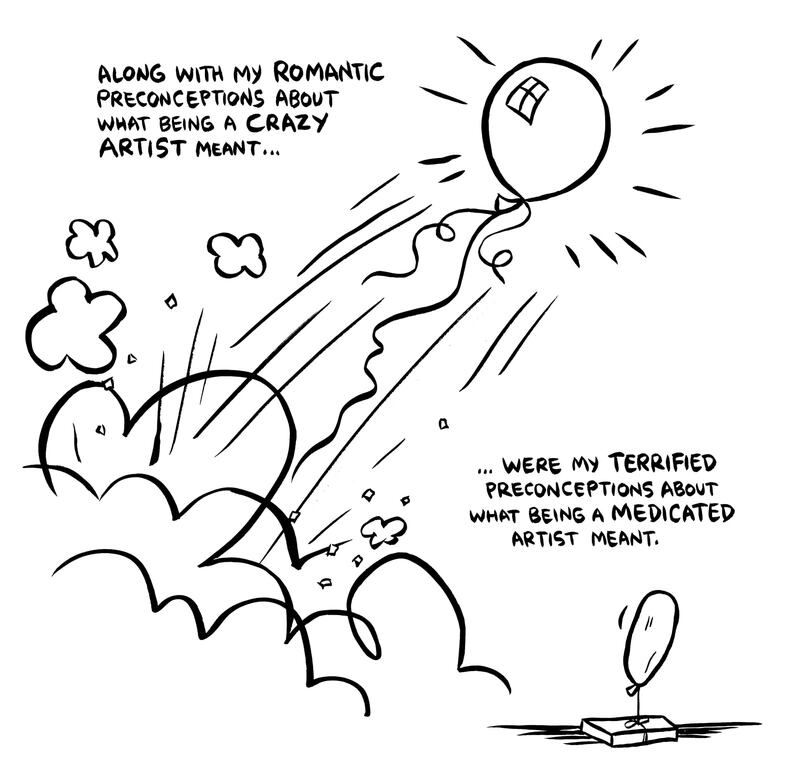 comics, new research projects, new ideas) in a concise format. • Oral presentations: 15- to 20-minute presentations. 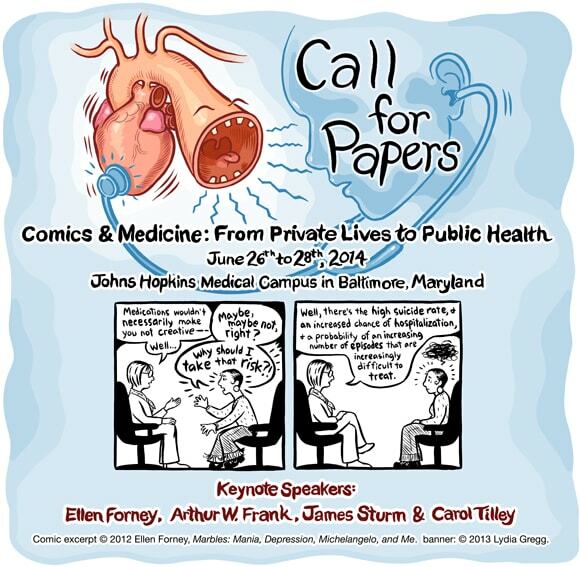 300-word proposals should be submitted online by Friday, February 14th, 2014 to: submissions@graphicmedicine.org. Abstracts will be peer-reviewed by an interdisciplinary selection committee. Notification of acceptance or rejection will be completed by Tuesday, March 25th, 2014. While we cannot guarantee that presenters will receive their first choice of presentation format, we will attempt to honor preferences, and we will acknowledge the receipt of all proposals. Please note: Presenters are responsible for session expenses (e.g. handouts) and personal expenses (travel, hotel, and registration fees). All presenters must register for the conference. Fabulous topic! 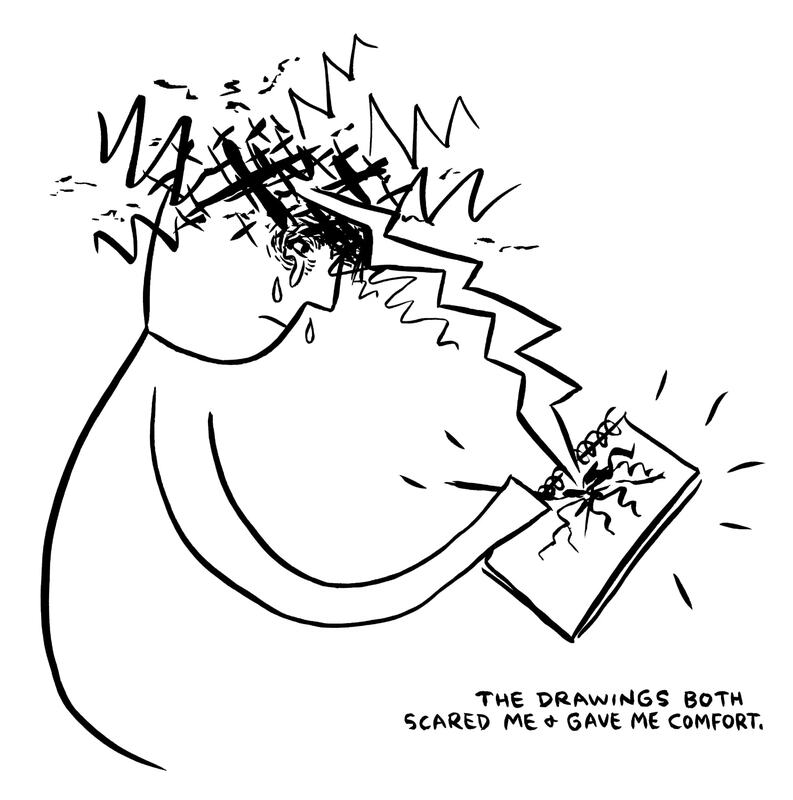 Comics and illustrations are accessible to everyone and open the dialogue about mental health in a non-threatening way. Kudos on bringing this to light.